If purchasing or renting a jukebox is not for you we also offer a profit share service. We site the jukebox in your venue and you receive a share of the profits. We take care of all the ongoing maintenance and serving as part of the deal. This is a great option for a lot of venues, you can find more frequently asked questions below, or contact us for more information. As part of our jukebox hire and profit share services we take care of all the on going maintenance. 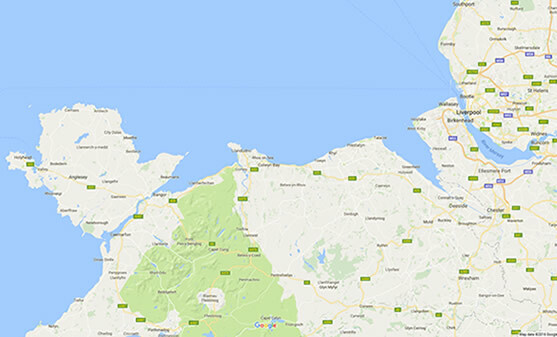 We are located in the heart of North Wales which means we can service jukeboxes through North Wales, Chester and the Wirral and can usually repair any faults in many circumstances matter of hours rather than days or weeks. This is fault dependant of course but our priority is to minimise downtime and much as possible to make sure the jukebox is available to generate revenue, and of course to provide awesome quality entertainment for your customers. Amazon leisure is your first call for jukebox hire North Wales, Chester and The Wirral. We operate over 100 sites throughout the North Wales and Chester area so you can be assure we have a lot of expertise and experience in many different venue types and offer a jukebox product range suitable for any installation. Jukeboxes are a great way to provide entertainment and also can generate additional revenue for your business. Modern jukeboxes are internet connected for updates and can provide a massive catalogue of music with the benefits of touch screen menus providing the customer with a fun and interactive way of selecting and searching for music. There have been giant leaps forward with sound quality too, our range of modern jukeboxes produce crystal clear audio, providing an exceptional listening experience. We have been installing and repairing juke boxes for decades, so if you want any information on our jukebox range or if we can help in anyway regarding what is best for you venue, please don’t hesitate to contact us by phone or by our website contact form below. We provide jukebox profit share, jukebox sales and jukebox hire around the North Wales, Chester and Wirral areas including the towns of Bangor, Holyhead, Caernarfon, Prestatyn, Rhyl, Llandudno and Wrexham. How much is it to hire a juke boxes? What is the minimum term hire for a juke boxes? If there is a fault with my juke boxes, what do I do? Do Amazon Leisure also sell juke boxes?